(Bishkek, November 12, 2015) – One of the world’s longest imprisoned peaceful political activists, Murod Juraev, was finally released from a jail in Uzbekistan on November 12, 2015, after 21 unjustified years behind bars, nine human rights groups said today. Juraev, a 63-year-old former member of parliament, had been imprisoned since September 18, 1994. His original nine-year sentence was extended by 12 years for alleged violations of prison rules; during this time, he was repeatedly tortured and became seriously ill. 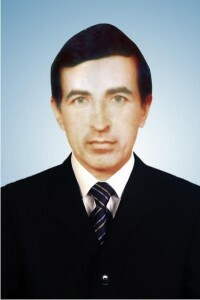 The Uzbek authorities should thoroughly and meaningfully investigate credible allegations that Juraev was tortured; that his sentence was arbitrarily extended, which was approved by judges in hearings that violated fair trial principles; and that he was denied appropriate medical care in prison, the groups said. The government should allow him to resume his peaceful political activism. The Uzbek government should also immediately and unconditionally release the numerous other peaceful activists and human rights defenders who remain in prison following politically motivated, unfair trials. The human rights groups are Amnesty International, Christians’ Action for the Abolition of Torture (ACAT-France), the Association for Human Rights in Central Asia (AHRCA), Freedom House, Human Rights Watch, International Federation for Human Rights (FIDH), the International Partnership for Human Rights (IPHR), the Norwegian Helsinki Committee, and the Uzbek-German Forum for Human Rights. In November 2013, the United Nations Committee Against Torture – a body of 10 independent experts that monitors governments’ implementation of the Convention against Torture and Other Cruel, Inhuman or Degrading Treatment or Punishment – found that Juraev and numerous other peaceful activists and human rights defenders were arbitrarily imprisoned in retaliation for their work and criticism of the government. The committee expressed concern that many wrongfully held activists have been subjected to torture or other forms of ill-treatment. Juraev was a member of parliament from 1991 to 1992, a prominent member of the Erk opposition party, and served as the mayor of Mubarak, in Kashkadarya province. Juraev drew President Islam Karimov’s personal ire by being the first official to dissolve a city committee of the Communist Party after the fall of the Soviet Union. On September 18, 1994, he was detained in Kazakhstan and forcibly returned to Uzbekistan. He was beaten during his arrest. He suffered multiple concussions and a broken rib, but it is unclear whether these injuries were from the beating or from a car accident following his arrest. On May 31, 1995, Juraev was convicted in a case in which a number of members of the bannedErk party were accused of plotting to overthrow the government. A court sentenced him on various charges to 12 years in prison, later reduced to nine years on appeal. He was held in prison 64/45 in Almalyk, Tashkent province. Uzbekistan’s international partners, including the United States and the European Union, should use every means of influence at their disposal and reiterate their calls to Tashkent to address its human rights record, including by releasing all those whose detention is unlawful and arbitrary under international standards, the rights groups said. One place to begin is at the UN Human Rights Council, where members can express serious concern with Uzbekistan’s systematic refusal to cooperate with UN experts on human rights and its continuous flouting of its human rights obligations. Members of the UN Human Rights Council should underscore their concern about human rights violations in Uzbekistan and the government’s continued refusal to allow visits from 13 of these UN monitors, including the special rapporteur on torture. The council should establish a dedicated, country-specific position to ensure sustained scrutiny and reporting on the human rights situation in Uzbekistan. Among prisoners whose sentences have been extended on politically motivated grounds for alleged violations of prison rules are: Muhammad Bekjanov, former editor-in-chief of the banned Erk political opposition party newspaper, who has spent 16 years in prison and whose sentence has been extended twice for disobeying prison rules; Yusuf Ruzimurodov, a journalist who was tried alongside Muhammad Bekjanov in 1999 and received an additional sentence in May 2014, though it was not clear for how long; and Azam Farmonov, a human rights activist arrested in 2006 and convicted of extortion after an unfair trial without a lawyer present. He was repeatedly tortured and ill-treated in Jaslyk prison 64/71. His prison term ended in April, but a former detainee told Farmonov’s wife on May 21, 2015, that her husband’s term had been extended by an additional five years.